Since it was founded since 2010,Shibowei.High-end Drinking Water Expo has not only got the great support of local governments, drinking water associations, water experts,but also got the high concerns and participation of enterprises from domestic and foreign high-end brand water, distribution & agents which witnessed the glorious history of the high-end water industry from the beginning to the present development.The high-end Water Expo has been formed a perfect service system of drinking water industry chain and become a guide to promote the development of high-end drinking water market through the Project Investment for High Quality Water Source、Product Display、Water Evaluation Contest、Expert Technology Exchange、Industry Development Forum and Marketing Strategy Sharing etc a series of wonderful activities. Shibowei. High-end Water Expo has been developed into a fixed place-Beijing,touring in Shanghai for showing trade platform of the world good water to the national people. It has 20000 exhibition areas,300 exhibiting brands,30000 visitors as Asia's largest, most professional industry event of high-end drinking water with best timeliness. 2018 Shibowei.Beijing High-end Water Expo was successfully completed on April 10th at Beijing. China International Exhibition Center and it had got the great support of China National Health Association Drinking Healthy Committee、Natural Drinking Water Industry Association of Guizhou Province、Chengde Municipal People's Government、well-known water experts、Professor of Medicine and national level leaders etc. This expo attracted more than 120 companies in the global high-end drinking water industry to gather in Beijing for enjoying this international feast‘The world of water, the magic of water, and the water bring the health for human beings’. We held The 8th“Nice Water China, Tasting Water Contest”and The 3th Hydrogen and Health Industry Development&Healthy Drinking Water Forum during this expo which made us understand the development of drinking water market and brought new vitality in promoting the development of drinking water industry. 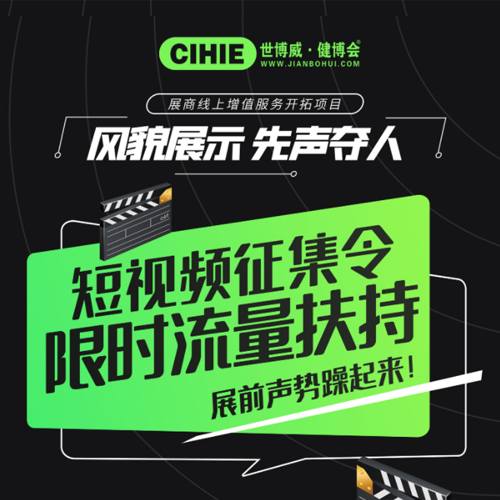 6.Have the opportunity to join in “China Nation Health Association Healthy Drinking Water Commission ” “China High-end Drinking Water League”. 7. Have the opportunity to consult water experts, product checking, media publicity and other service. 9.Have the opportunity to be interviewed by CCTV4，CCTV7, Hongkong TV, Xinhua website, Food Business Website and other media. In order to develop Chinese tea culture and water culture and promote the exchange and cooperation between water and tea industry and also spread the concept of healthy drinking water, the organizer of China International High-end Drinking Water Expo together with China Nation Health Association Health Drinking Water Commission, Domestic Authoritative Tea Industry Association、Beijing Shangshui wisdom International Public Relations Consulting Co., Ltd and famous tea experts will held this contest. This competition activity takes voluntary registration with the way of blind evaluation and notarization, fairness, openness as the principle. By holding cent trials and final contest ,we will select the most suitable water- "tea making companion"--into 6 kinds of tea in the all high quality natural drinking water. At that time, the leaders of drinking water industry and tea industry association, famous water experts and tea experts will be invited around the theme of “what water you like,what tea you like”to prove that water is the mother of tea, good water makes good tea. On April 9,2018,under the support of expert professor of hydrogen medicine and NAHIEM National Hydrogen Health Industry Association, The 11th International High-end Drinking Water Industry Expo & The 3rd Hydrogen and Health Industry Development Forum was held at Hall 8B of CIEC. This expo invited Qin Shu Cun, Director of Institute of atherosclerosis of Taishan Medical University、Ma Xue Mei, Vice-President of College of Life Science and Bioengineering of Beijing University of Technology、Yoon-bae Kim, Professor at North University of Korea etc for drawing attention to the hydrogen health industry and promoting the development of hydrogen health industry in China. In order to encourage enterprises to innovate in science and technology, establish integrity brand of domestic high-end water, build products image of high-end water, and promote the healthy development of the industry, the organizer of China International High-end Drinking Water Industry Expo will select some brand enterprises and products with good faith management, advanced technology and good quality to issue honor awards during this expo. Natural mineral water、Glacier water、Natural soda water、Natural Weak Alkalinity Water、sea water、Natural mountain spring water、Snowmelt water、Natural small molecule water、Mother infant water、Tea water、Deuterium depleted water、oxygenic water、Hydrogen water、Plant water , Medical Mineral Water etc. Packing machine、 Packing container、 Packing design、 scientific research institution、 Quality water source project investment unit and High-end mineral water customization etc supporting services. < www.chinasqbg.com >< Professional Manager>,< SUPERMARKET WEEKLY>< Direct Drinking Water magazine>< Water Home appliances. Franchise >< China Health Water> < China Appliance Technology >< Water Purification Era >and so on.